At the end the month of August 2015, the leadership of Solkomyo signed a partnership agreement with the Haitian branch of Medical Ambassadors International (also known as AMDH) , which defined how both institutions would to start implementing together our technology access program in new areas. Thanks to AMDH’s expertise in supporting different communities across the Northern Department of Haiti, particularly the area in and around the city of Cap Haitian, Solkomyo would like to give access to vital technologies and products to a new section of the Haitian population that lacks access to electricity and is highly reliant on light sources such as kerosene. With the emergence of a new group of community entrepreneurs, we want to equip one group of men and women to break the cycle of poverty for their own families and the beneficiaries of their sales. Initially, we will be adding the following places to our list of operating areas: the city of Cap-Haitien, Acul-du Nord, Laplany, Plaine-Du–Nord, Bayeux, Limbe, Port-Magot (Novion), Minière , Limbe (Camp Cop) and La Victoire. 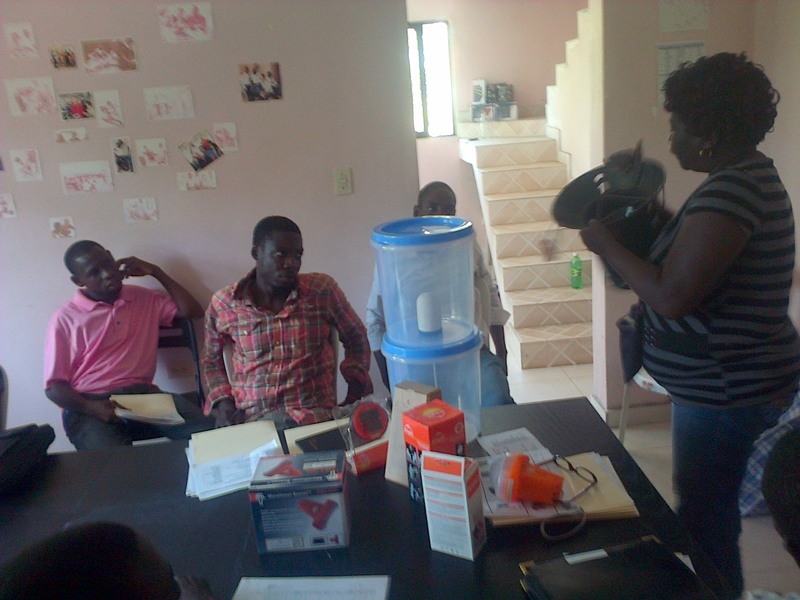 On Saturday, September 5th 2015, the new community entrepreneurs, who had been recommended by AMDH, had the opportunity to see and learn how to use many technologies and product that Solkomyo sells in the community. This means that the guests learnt, among other things, how the solar lamps could save money for the user, and reduce fire and pollution hazards. 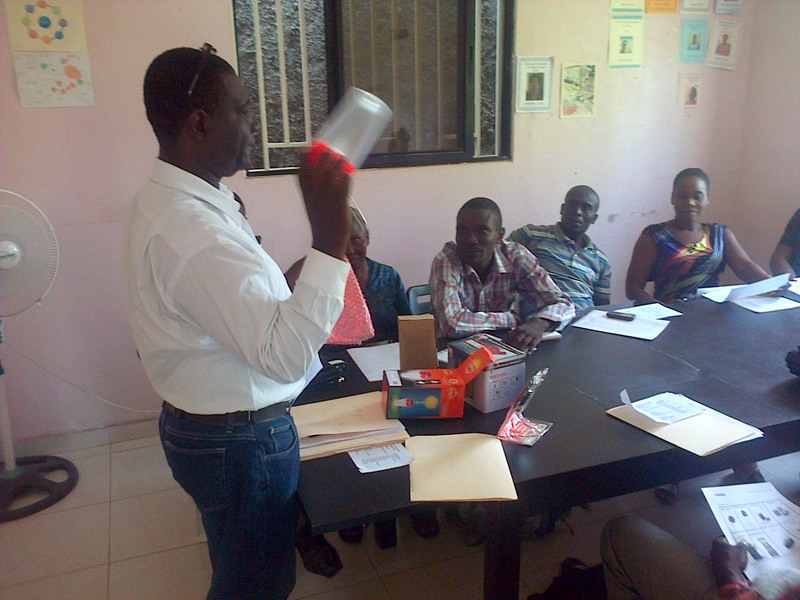 During that meeting, which was organized in the office of Solkomyo in Ouanaminthe, the new team was also trained on how to put into practice the Micro Consignment Model. Finally, we especially thank the all participants for their enthusiastic participation and generous sharing of their time and ideas. Antonio Vixama (General Coordinator) , contributing to the training of the new community entrepreneurs. Elizabeth Atilus (Regional Coordinator) giving her input during the training of the new community entrepreneurs. ← Community Entrepreneurs gather in Ouanaminthe.